The Total Fight gets warmed up for an edition with new surprises and with the aim of continuing at the top of the freeski scene worldwide. El Tarter snowpark prepares to receive the best slopestyle riders in freeski. Gold category event within the AFP World Tour calendar, a world reference in freestyle skiing. 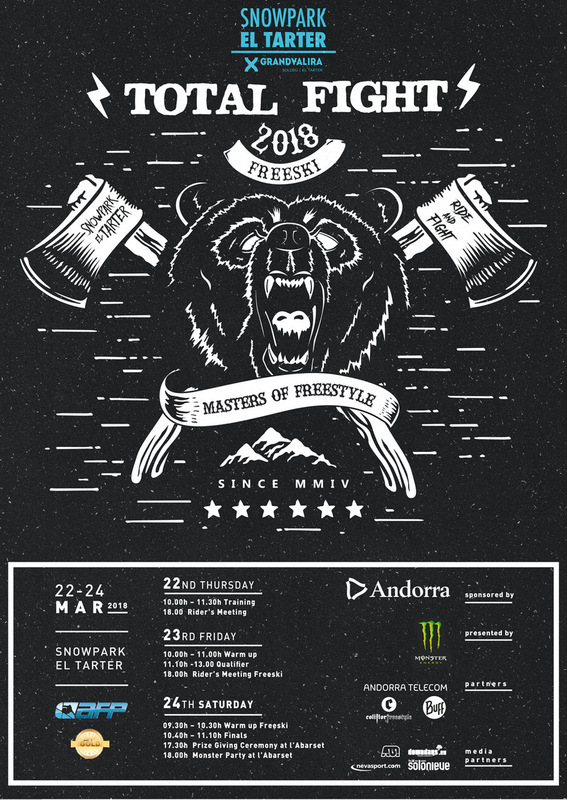 From March 22 to March 24, Andorra will be the epicenter of the freestyle planet with the arrival of the best slopestyle riders in freeski. The Total Fight technical team is designing a fluid and technical slopestyle circuit that will allow riders to perform their best tricks. In the last edition, the Swiss Alex Hall took the victory, American McRae Williams and Frenchman Antoine Adelisse completed the podium. Hall will try to get back on the top after confirming that he will also be present this year. At the end of March, the fourteenth edition of Total Fight arrives in El Tarter. The finals of the competition that can also be broadcast live on Grandvalira Facebook.